I get asked questions about sibling rivalry almost every time I speak. Why? Well, it is probably because all of our children fight! Although it is a very normal part of growing up, it can often cross a line into damaging territory, especially for younger siblings. Part of our responsibility as parents is to create a safe and positive culture in our homes. As you read these eight suggestions and watch my video, please pass each suggestion by your own heart. Throw out what doesn’t sit well with you and act on what does. Don’t keep letting the issue slide. My advice is to DO SOMETHING. Something is always better than nothing. You may hear your eldest say, "I get blamed for everything" or the middle child say, "You like him (or her) more than you like me" or the youngest, “I’m not allowed to do anything.” We have to acknowledge that birth order does impact each one of our children. It’s important to find ways to positively recognise birth order and make each child feel special for their place within the family. Eldest, youngest and those in the middle have to feel like they are unique, valued and have their own life journey. Comparisons more easily melt away when children own their own place within a family. Make sure you aren't unconsciously giving older children a parental role. It is so easy to do! Don't consistently leave them to babysit or play with their younger brother or sister because you are busy. When a younger sibling wants to play with an uninterested or busy older sibling it can cause a lot of tension. It is far better to have a family process for these times, rather than have them take things in their own hands. Step 1. When you need ‘time out’ from your younger sibling come and see me. Don't take it into your own hands to tell your brother or sister to go away. Step 2. As a parent I will be responsible for taking care of your younger sister or brother when you need space. Step 3. When you finish ‘time out’, I would love for you to spend time with your younger sister or brother by doing something you can both enjoy. I expect you to connect with the rest of the family after you have had some space. I suggest parents set a maximum amount of time for ‘time out’, say 2 hours. I know some teenagers whose room is so comfortable (equipped with a television and internet) that they have no need to come out and learn to be a part of the family. I still like the rule of no technology in bedrooms (regardless of your safety software) for the simple reason of helping them stay engaged with the family. 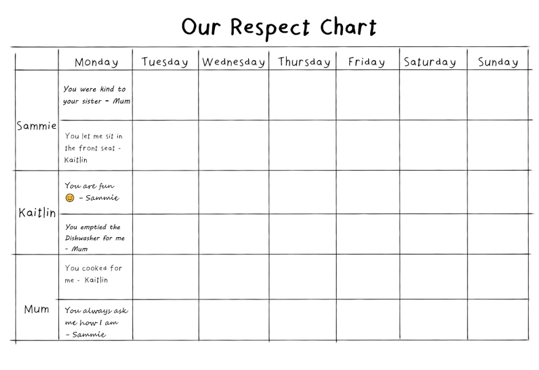 If you are having trouble with teen being nasty to younger siblings, try using a Respect Chart. Sometimes you have to deliberately work positive language into your home. Ask everyone in the family to write one thing they respect about each member of the family each day under that person's name. You could change this to each week if you wanted to. This allows the younger one to praise and emotionally connect with the older one, and vice-versa. If you don’t want to formally use a chart, you could ask each member of the family to verbally share their positive thoughts. If one child in the family is bullying another, ask yourself, “Why do they bully? This is important to work out. Those who are being bullied do tend to bully. When teenagers are going through a difficult time they tend to bring it home. This being said, sometimes teenagers bully 'because they can' and the power is tipped in their favour. Try not to focus on the problem by saying, "You two are always fighting", "I can't leave you alone for a second", "I've never seen two children hate each other so much", or "You'll end up fighting for the rest of your life." Your words may very well shape their future like a self-fulfilling prophecy. Try deliberately and consistently affirm their relationship by saying, "Family take care of each other. You two are learning to do that" or “We stick together” or "No one is going to love you like family." It is important that each child can voice and can communicate their needs and feelings. Instead of sweeping arguments under the carpet, help each child express their feelings by organising formal family meetings. Give them sentence starters like, "I don't like it when..." or "When you do that it makes me feel..." to finish. This way you are dealing with things outside of the heat of the moment, in a proactive and preventative way. There has to be some absolute rules of play in any family, and consequences for over-stepping them. The reality is that teenagers can be very selfish and may only modify their behaviour when something is in it for them. Creating rules together, so everyone is clear about what is not acceptable is a good first step. Absolute rules of play might include things like - we don’t hit each other, we don’t call each other names, we don’t yell at each other. I love this comment which I got from a mother who read this article. It's honest, it's real and that is why I've added it here. The truth is that maintaining a positive family culture is a full time job, but one worth investing into! "The biggest challenge for families in this day and age is having the time to persist with excellent strategies like the chart and making sure the kids fill them out. 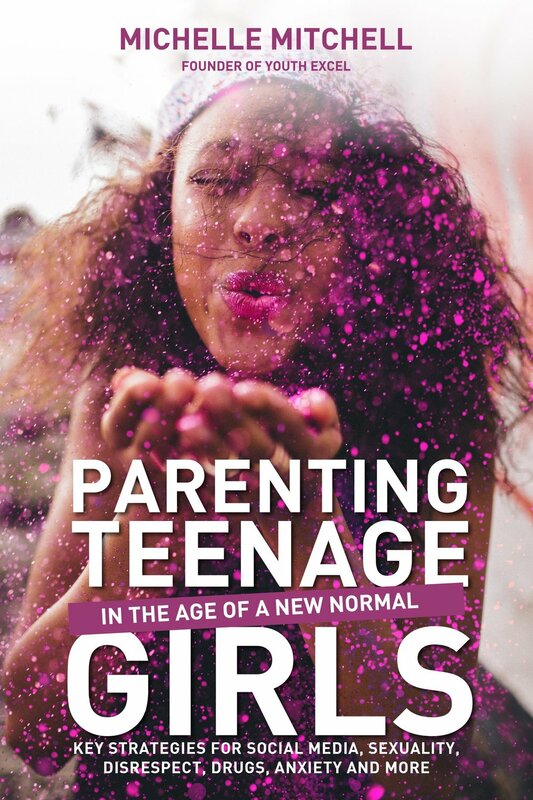 And the more tired a parent is, the less they are able to implement strategy thus relying on harsher disciplines and unrelenting insistence without negotiation, which can of course cause teenager resentment."